Gunman Clive was released on the eShop a couple weeks ago, but it’s been out on PC, Mac, iOS and Android for much longer. 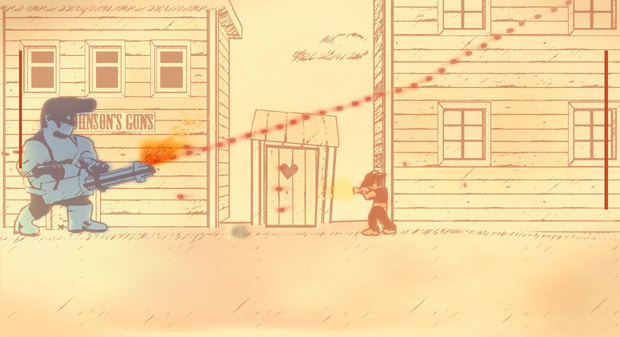 Now, the two-man team behind this wonderful game have released the Gunman Clive Original Soundtrack onto Bandcamp for $1. Yes, you read that correctly. Acquiring all nine tracks from the game will cost you only a dollar. You can’t buy each track individually, but…it’s a freaking dollar, for crying out loud! Between this and the game itself, you’d only need to spend $3 to get the most amount of enjoyment out of this game. This should be beyond negligible! I can’t recommend Gunman Clive or its soundtrack high enough. If you’ve got a few bucks to spare, get this game and the soundtrack. You can get the soundtrack here and the game on the eShop, iOS, Android, Mac, and PC.